St. Petersburg July 13 (IANS) A match that no team wants to be part of -- playoff for the third place. Deflated England and Belgium will nonetheless want to end their FIFA World Cup campaign somewhat on a high on Saturday. Aiming a shot at the second World Cup triumph Gareth Southgate s wards fell short despite taking a fifth minute lead through Keiran Trippier. On Saturday they will take on a side they lost to in the group stages albeit both teams played their second teams. Roberto Martinez s Belgium who were beaten 0-1 by France in the last-four stage topped Group G ahead of England after an Adnan Januzaj goal proved to be decisive. 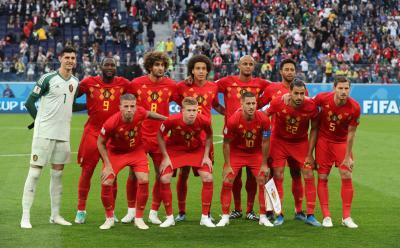 For Belgium who have a collection of world class players a win would be the nation s best result at the World Cup. They finished fourth in 1986. For the record European teams have claimed the third place in the past nine World Cups. With one more goal Kane would become the highest scorer in the World Cup since 2002 when Brazil s Ronaldo struck eight times including twice in the final as the South American heavyweights bagged a record fifth title. The Tottenham Hotspur star forward would be just the second England player to scoop the award after Gary Lineker was the top scorer in 1986.